Grace Graham, Associate Research Specialist with WI Geological & Natural History Survey at UW-Extension, and Sue Swanson, Professor of Geology at Beloit College, discuss their work locating and monitoring springs around the state. The recently completed database is available to the public. 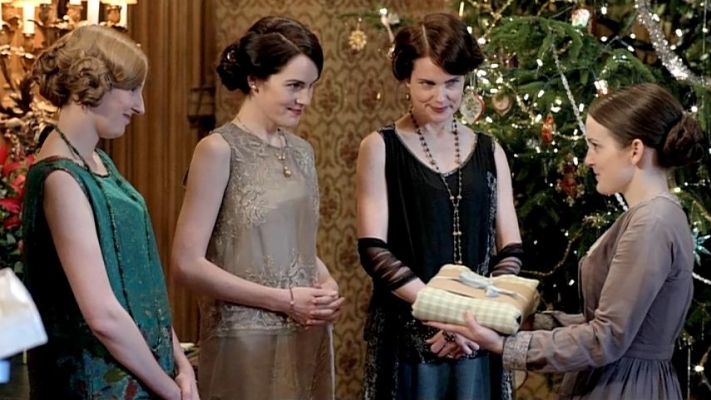 In the season finale, the family gathers at Downton Abbey for Christmas. Preview the six-part adaptation of Victor Hugo's magnum opus, coming to PBS this spring. If you were familiar with Eau Claire 20 years ago, you're not familiar with it now unless you live there! Visit Paoli to tour Anna Thomas Bates and Anna Landmark's cheese and specialty shop. Aztalan State Park in Jefferson County, now a National Historic Landmark, is explored. The 2019 Chevrolet Blazer, the Hyundai Genesis G70 and heat/sound shields are showcased. Professor Emeritus Clint Sprott along with faculty, staff and students from the UW-Madison Department of Physics explore the physics needed to travel into space in this entertaining scientific extravaganza. Dina Wakley has the keys for abstract paintings so they are more than just a colorful background. Berlin's trendy east side, people-friendly riverfront and its vibrant social scene are explored. Vasilia makes the least-romantic proposal in history and Spiro and Hugh organize a cricket match. University PlaceA Relic from Lincoln's Deathbed? Richard Halberg, Nasia Safdar, Freddy Caldera and John Rice, Professors in the UW School of Medicine and Public Health, discuss issues associated with digestive health including: colon cancer, microorganisms in your gut, inflammatory bowel disease and fatty liver disease. A spectacular chocolate pretzel brioche bread pudding with raspberry whipped cream is created. Martha shares three famous cookie recipes. Speculaas, stroopwafels and arnhemse meisjes are made. Oven-baked oysters, pan fried trout with gravy and shrimp with smoked grit cakes are prepared. Visit the Festival of Quilts in Birmingham, England and learn about the European art quilt movement. Jerry shows his viewers how to paint in the very distant trees using the #4 script brush. Yummy Pecan, Sunflower Seed and Zucchini Loaf with Simple Mushroom Gravy are served. Walt visits south Mississippi to take in a popular Renaissance Faire and meet a Brandon blacksmith. Guest Raymond Kinman shares his way of perfecting your very own family crest and colorful signage. P. Allen Smith shares his garden stress relievers, including yoga poses designed for gardeners. Czech bead shapes are highlighted. Ashley Bunting creates basic wire frames to make earrings. Joanne Chang makes a passion fruit and raspberry Pavlova and Ming makes a delectable isle flottante. Pork with Spanish Olives and Fideo and a Paella like dish that uses Noodles are served. Daisy and pals play cowboys, going on an adventure to find wildflowers; Squeeks has the winter blues. Miss Power is a new super, but she uses mean words against others and may be a super villain. TJ and his friend Johnson both think they are WordGirl's #1 fan and they compete to prove it! Mr. Big and Dr. Two Brains team up to create a plan to control the minds of everyone in the city. Creech invites her good friends the CyberSquad to Tikiville to show off the amazing new bike path. WordGirl feels the pressure when she is asked to make a speech at the school's Inspiration Day. Mrs. Demson wants Martha to appear in court after seeing and accident that destroys her furniture. The Super Readers fly into the story of a princess with a silly sense of humor and a big job to do. Caillou and Leo squabble over a toy shuttle they decided to share. Grandpa coaches the soccer team. Sid learns about change and transformations such as decay, growth, and change caused by heat.